Generally, when a bolt gets down to a smaller size, the cardboard core takes up more room than the fabric! It's time to make way for the new! End of the Bolt Sale starts TOMORROW, September 13 thru September 23, 2017. All fabric currently at a reduced price, 50% OFF if you finish the bolt. Fabric not marked down, buy the remaining fabric on the bolt, get it 25% OFF. The End-of-the-Bolt item is for the specified yardage of the remaining fabric. Sorry, we cannot cut smaller pieces; this low price is for the entire piece. Be sure to stop by the store during the END-OF-THE-BOLT SALE, its a great time to stock up on fabric! 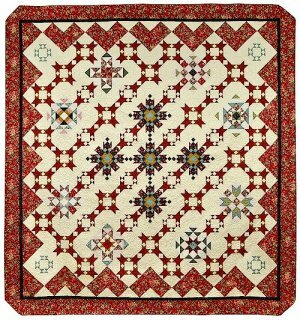 Quilt size: 97" x 103"
True love stories never end...The Legendary Loves block of the month, designed by Denice Lipscomb, is a 12 month program celebrating love. 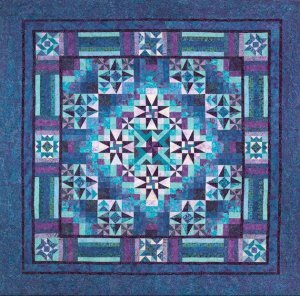 Along with detailed instructions for a block of the quilt, each month will include a story of a couple who found deep and abiding love with one another. From Odysseus and Penelope to the Duke and Duchess of Windsor, each of these couples will touch your heart in a special way.